Rob Latham savours the tumultuous tale of four men who reshaped the genre. Rob Latham is the editor of The Oxford Handbook of Science Fiction and Science Fiction Criticism. For 20 years, he was a senior editor of the journal Science Fiction Studies. Alec Nevala-Lee’s Astounding is a fascinating collective portrait of four men who, together and apart, helped to shape modern science fiction. 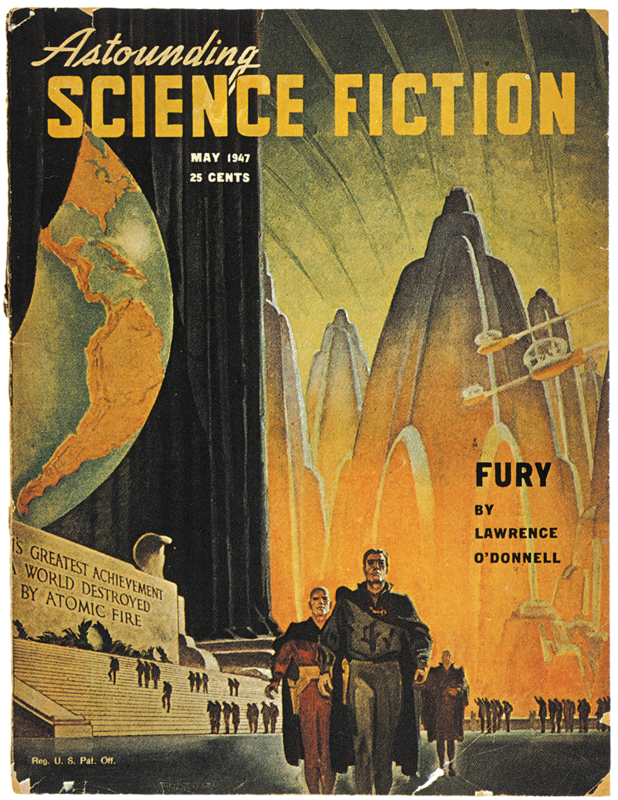 They were the legendary, irascible John W. Campbell Jr, long-time editor of the magazine Astounding Science Fiction (later Analog), and three of his key writers. 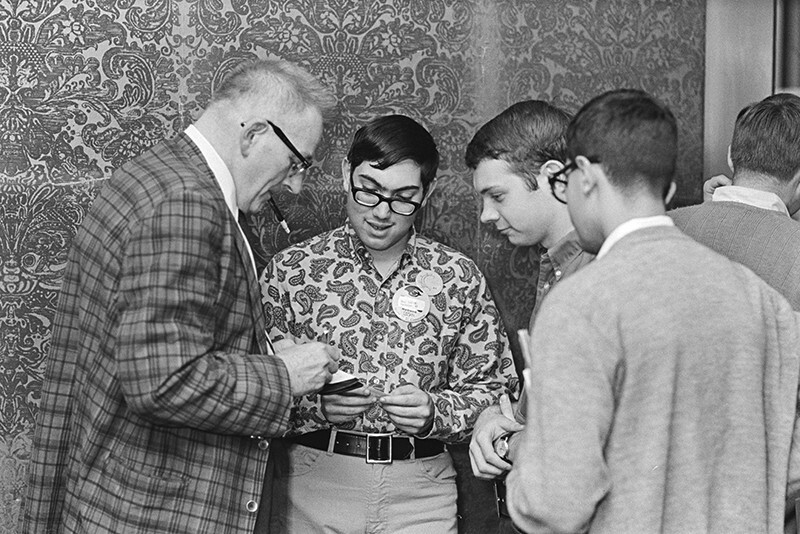 Isaac Asimov and Robert A. Heinlein became giants of the genre. L. Ron Hubbard, by contrast, was a prolific purveyor of pulp fiction (and future founder of the Church of Scientology). Under Campbell’s editorship, Astounding was transformed during the late 1930s and 1940s from a showcase for space-opera schlock into a serious venue for futuristic extrapolation, often written by professional scientists such as Asimov, a biochemist, and electronics engineer George O. Smith. That era has become known as science fiction’s golden age. Nevala-Lee — himself a science-fiction writer — delivers a compelling account of its hopeful rise and ignominious fall. Pivotal in this trajectory was the massive, lingering impact of the Second World War on the magazine and its stable of authors, several of whom were drawn into military research. Asimov, Heinlein and fellow Astounding regular L. Sprague de Camp tested war materials at the Philadelphia Navy Yards in Pennsylvania from 1942. Campbell, under the aegis of the University of California’s Division of War Research, led a team of authors revising technical manuals for military use. He also joined Heinlein and de Camp in brainstorming unconventional responses to kamikaze attacks, such as detecting approaching aeroplanes using sound. Unsurprisingly, the story drew the attention of the national Counterintelligence Corps, which suspected a leak from the Manhattan Project; swathes of the personnel at the project’s site in Los Alamos, New Mexico, were science-fiction fans. Campbell was aggressively interviewed by an intelligence agent, Cartmill’s personal correspondence was put under surveillance, and Astounding came close to having its mailing privileges revoked. After the war, Campbell often cited the incident to demonstrate the genre’s prophetic nature — its capacity to project a convincing fictional future from known scientific facts. Indeed, the unprecedented technological advances of the war fuelled the public taste for science and technology, in turn raising the cultural status of science fiction. The late 1940s and 1950s were a boom time for the genre. That boosted the stock of Astounding, which came to specialize in stories of nuclear conflict and crisis. It also led to the rise of competing titles such as Galaxy and The Magazine of Fantasy & Science Fiction, as well as an expansion of the science-fiction book market. Campbell’s talent began to be poached. Nevala-Lee carefully traces the rifts that developed in the core group, largely prompted by Campbell’s increasing fondness for pseudoscientific ideas such as the Dean drive (proposed by inventor Norman Dean, who claimed it could produce thrust without a reaction — in violation of the laws of motion). 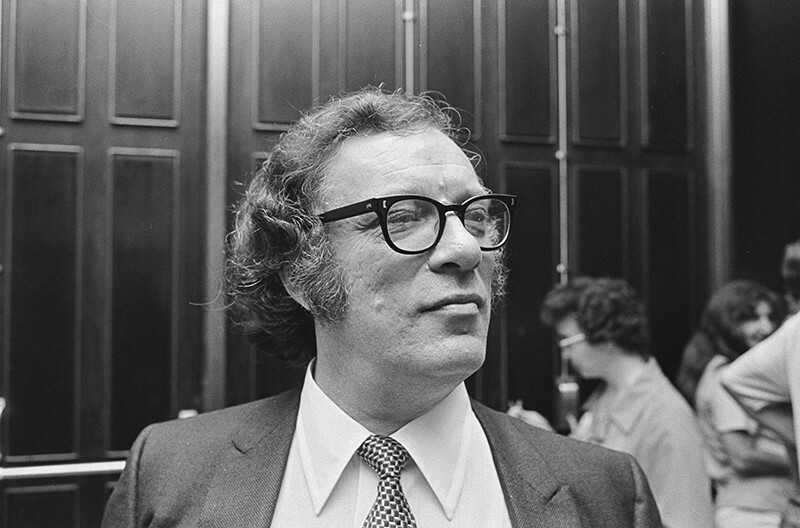 More generally, Campbell had always been obsessed by the possibility of a truly scientific psychology, which he believed would have predictive power along the lines of the fictional science of psychohistory in Asimov’s Foundation series. So when Hubbard, in the late 1940s, shared ideas that later became his ‘self-help system’ Dianetics, Campbell took the bait. Hubbard’s vision of superpowers purportedly lurking in everyone — once they had gone through an ‘auditing’ process and emerged as ‘clears’ — gripped Campbell, and he helped Hubbard to market his 1950 book Dianetics. Nevala-Lee argues that a lingering messianism at the heart of science fiction — its “persistent dream of an exclusive society of geniuses” — helped to propel Hubbard’s movement, which became Scientology. Numerous sci-fi authors embraced Dianetics, submitting to auditing or even becoming trained auditors; A. E. van Vogt briefly abandoned his writing career to run a chapter in Los Angeles, California. Hubbard’s gift for the hard sell was pivotal, and Nevala-Lee’s portrait of him as a paranoid narcissist and skilled manipulator is scathing. However, Campbell is also sharply scrutinized for his role in midwifing and unleashing Dianetics. Heinlein and Asimov were repelled by what they saw as an uncritical embrace of quackery, and took refuge in newer, often more lucrative markets. The book’s final chapters detail the steady decline of the magazine into a second-rank publication, and Campbell (who died in 1971) into a reactionary crackpot with racist views. Although much of the story outlined in Astounding has been told before, in genre histories and biographies of and memoirs by the principals, Nevala-Lee does an excellent job of drawing the strands together, and braiding them with extensive archival research, such as the correspondence of Campbell and Heinlein. The result is multifaceted and superbly detailed. 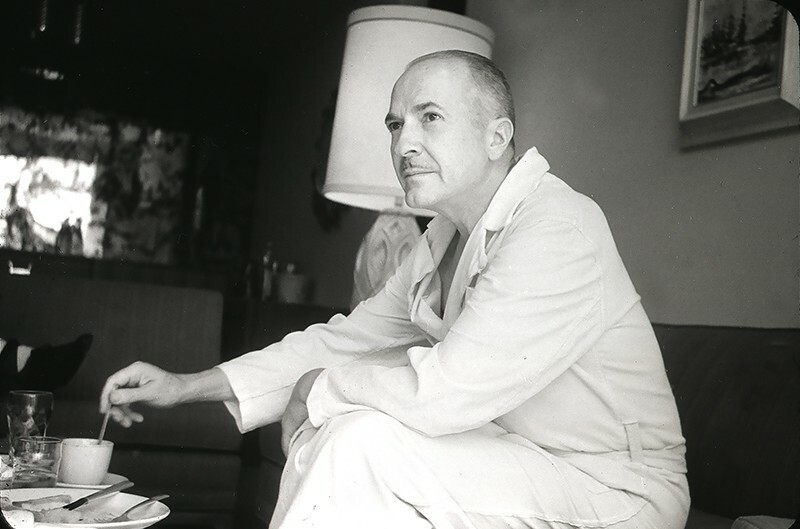 The author can be derailed by trivia — witness a grisly account of Heinlein’s haemorrhoids — and by his fascination for clandestine love affairs and fractured marriages. He also gives rather short shrift to van Vogt, one of Campbell’s most prominent discoveries and a fan favourite during Astounding’s acme, whose work has never since received the attention it deserves. These quibbles aside, the book is a rich, gripping cultural and historical study of how a small cadre of talents in a minor commercial genre became some of the most influential figures of the second half of the twentieth century.